Tenby must be one of the most favourite resorts for artists’ to paint. 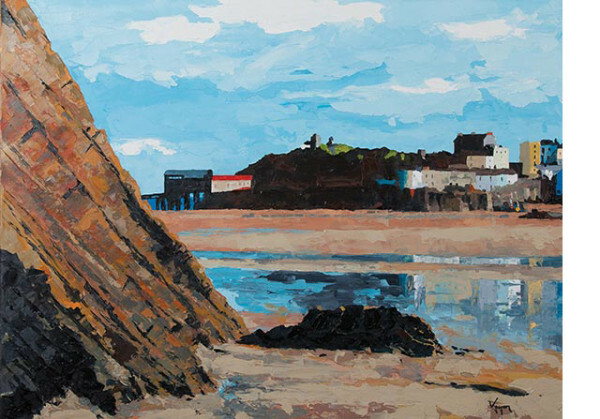 Having been a regular visitor to Tenby since my early childhood and now living within easy reach of Tenby, I was keen to paint a scene that had a very different viewpoint with strong focal point and depth. The use of the pallet knife adds to the impact and combined with strong use of colour, the overall texture establishes the vividness I set out to achieve.